John McMurtery enjoys a varied career as an orchestral flutist, soloist, chamber musician, teacher, and composer. Currently, he is section flutist of the New York City Opera Orchestra, principal flutist of the Peoria Symphony, and professor of flute at Western Illinois University. He has served as guest principal flutist with the Chicago Symphony, the Lyric Opera of Chicago, and the Metropolitan Opera Orchestra. In January 2017 he participated in the Chicago Symphony's tour of Europe with Maestro Riccardo Muti. Previously, he was principal flutist with the Opera Orchestra of New York, the Crested Butte Festival Orchestra, the Dicapo Opera, and the Manhattan Chamber Orchestra. During the 2011-12 season he served as acting piccoloist with the Oregon Symphony. McMurtery has performed regularly with the Detroit Symphony, the New Jersey Symphony, and at the OK Mozart festival in Bartlesville, Oklahoma. As soloist, McMurtery has appeared with the New York Symphonic Ensemble in Japan, the Peoria Symphony, Artemis Chamber Ensemble, and Manhattan Chamber Orchestra. 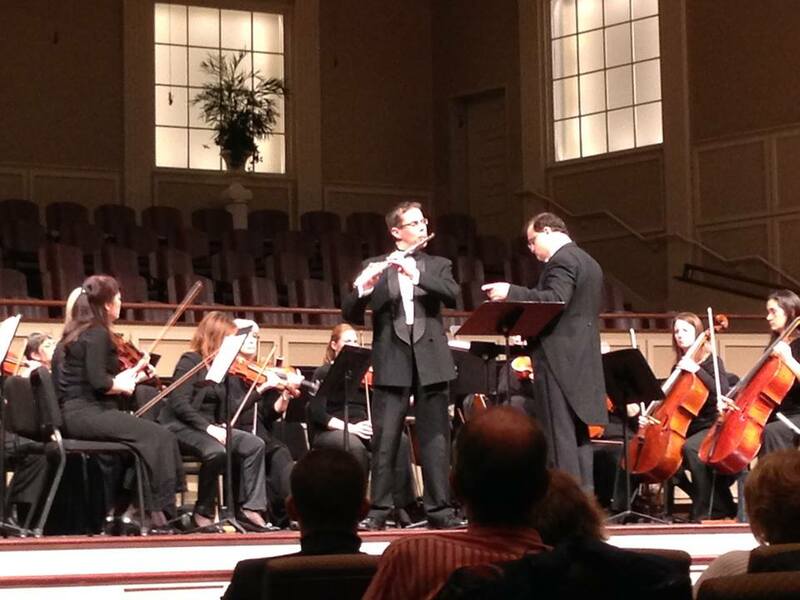 He has appeared as guest artist at flute festivals in Illinois, Missouri, New Jersey, New York, Oregon, and Tennessee. As chamber musician, McMurtery performs with the Camerata Woodwind Quintet, Una Voce Ensemble, UpTown Flutes, and Luna Nova. He recorded for the NAXOS label with the West Side Chamber Orchestra as soloist on John Rutter’s Suite Antique, as well as chamber music on a CD featuring works by Sean Hickey. Prior to his appointment as flute professor at Western Illinois University, he taught at The University of Nevada – Las Vegas, Westminster Conservatory Young Artist Program, the Lucy Moses School in New York City, and Drew University Summer Music. He is a past president of the New York Flute Club. Dr. McMurtery earned his DMA from The Juilliard School, where he studied with Julius Baker, Robert Langevin, and Jeanne Baxtresser. He received his MM from Rutgers University as a student of Bart Feller, and BM from Central Washington University where he studied with Dr. Hal Ott.